You can use any convention for the region keyword in a comment (region, Region, #Region), same with endregion (endregion, End Region, #EndRegion). The text after the region keyword forms visible region description. The only suggestion I have for XAML Regions is to add a context menu command to the XAML editor to surround selection with a region (or add two commands to create and delete the region). 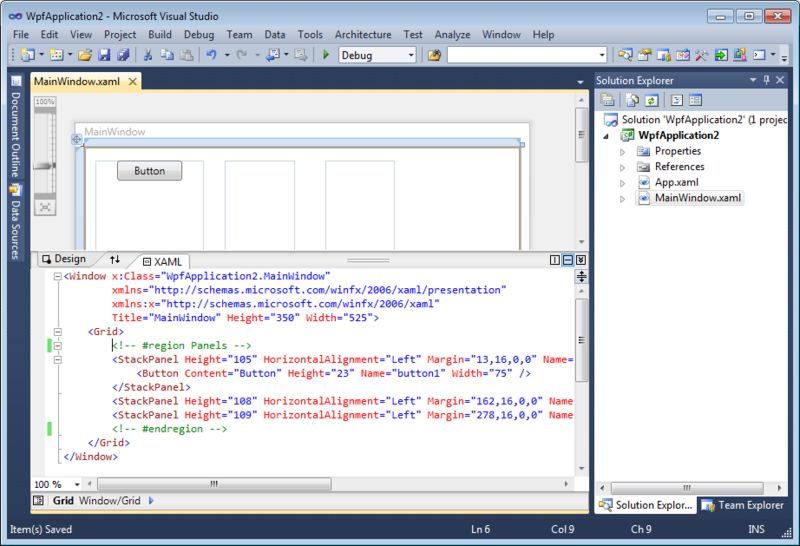 You can download the free XAML Regions extension for Visual Studio 2010 from Visual Studio Gallery.